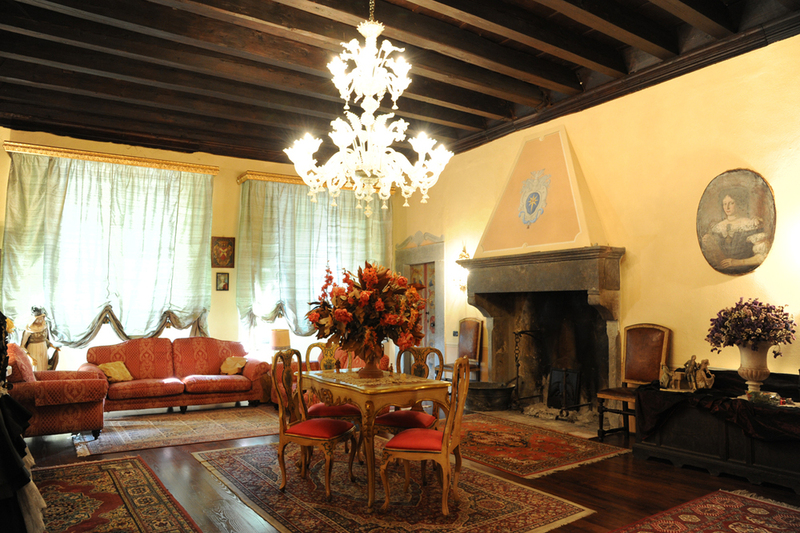 An unique historical Tuscan Palazzo with many original features, including frescoes and artwork. An elegant medieval Italian palace, with extensive accomodation, gardens and swimming pool in the small hill town of Ghivizzano, 30 min from both Lucca and the ski resort at Abetone. The property was built in 1274 as a fortress-palazzo. 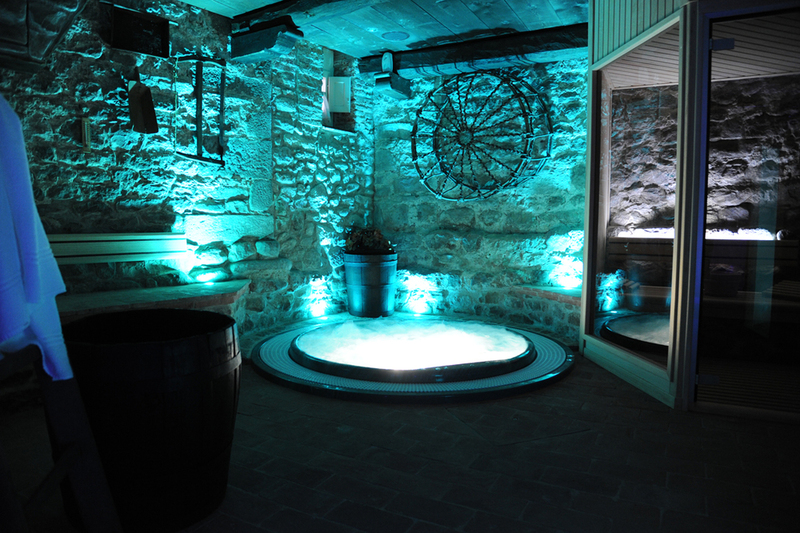 In 1648 the property was completely re-modelled to become a hunting lodge. The Palazzo is still owned by the descendents of the Buonvisi family; previous owners have included famous Tuscan families - the Castruccios, the Guinigis and the Sforzas. This historic Palace is set out over four floors, including both formal rooms, large kitchen and living rooms and a wellness spa in the basement. The adjacent formal gardens include a sun terrace with kitchen and a wood fired oven, with a large pool in the lower garden. 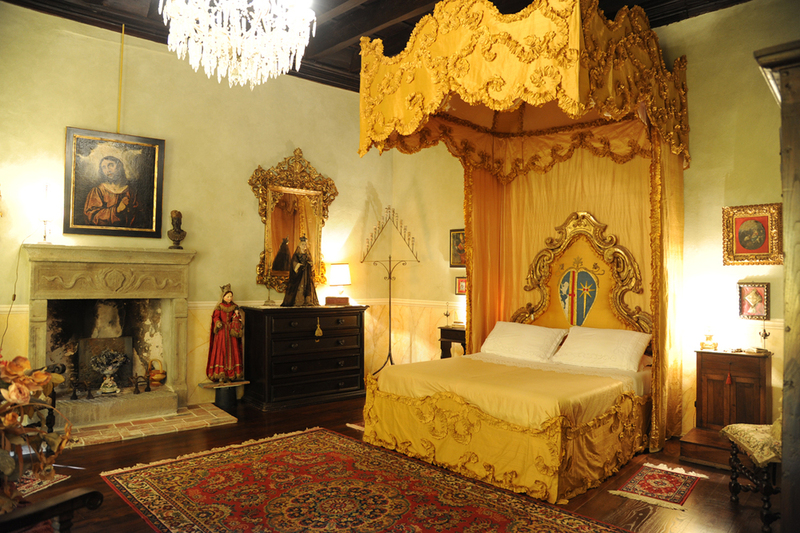 The Buonvisi Palace consists of 12 rooms and 5 bathrooms of which 3 adjacent to the bedrooms. A 6th small bathroom is located in the gated garden in front of the Palazzo. 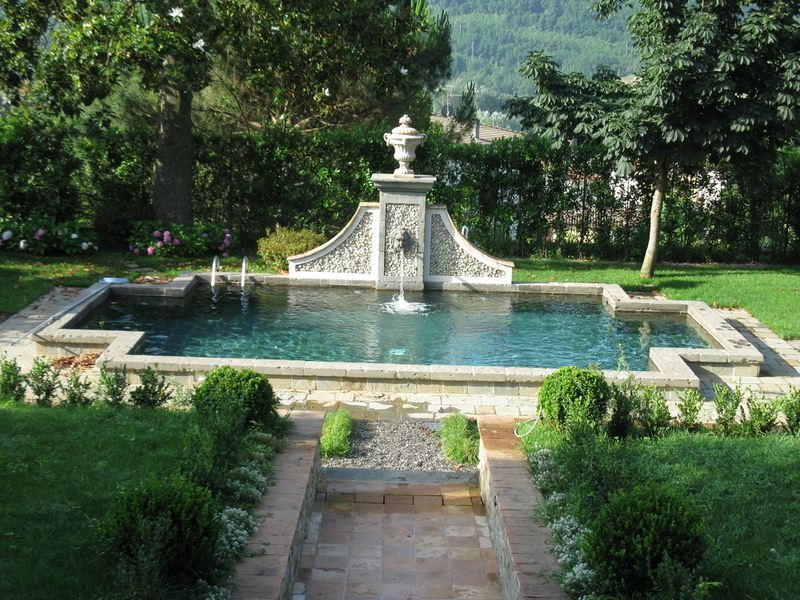 Gated garden of 1450 sqm / 15607 sqf,with a beautiful swimming pool of 45 sqm (9 x 5m) / 484 sqf (97 x 53.8 sqf), lined with 'pietra serena' stone and a decorative water spout. Offered at € 1 250 000, without furniture. The beautiful estate of Palazzo Buonvisi is located on the hills of the small Medieval town of Ghivizzano, some 30 km / 18.6 miles from Lucca along the River Serchio Valley. Spacious Living / dining room (approx. 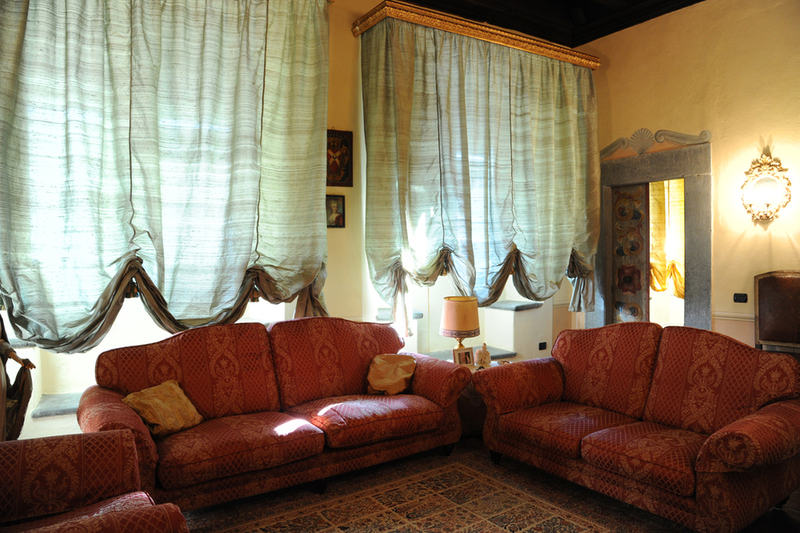 65 sqm / 700 sqf) with original chestnut wood ceiling, fireplace and two windows. Beautiful painted doors from the 1650s. 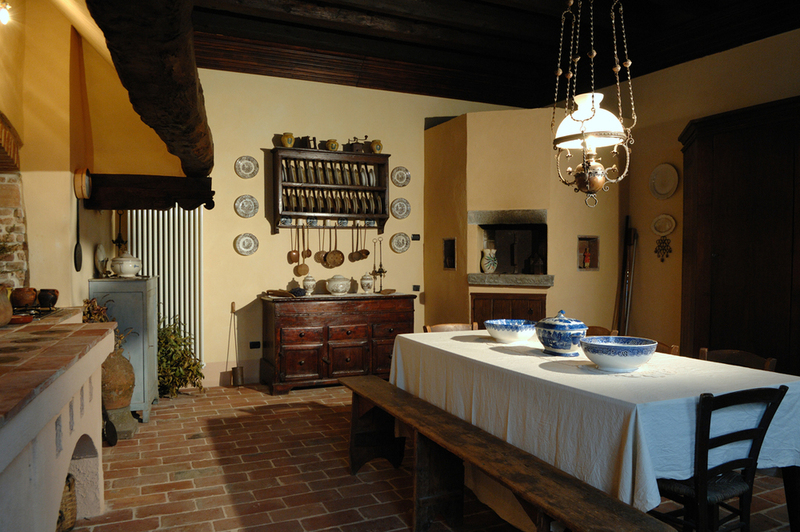 Large eat-in Lucchese kitchen with pizza oven, original Tuscan cooker and cotto tile floor and wood ceiling. Cloakroom with marble basin, bidet and toilet. 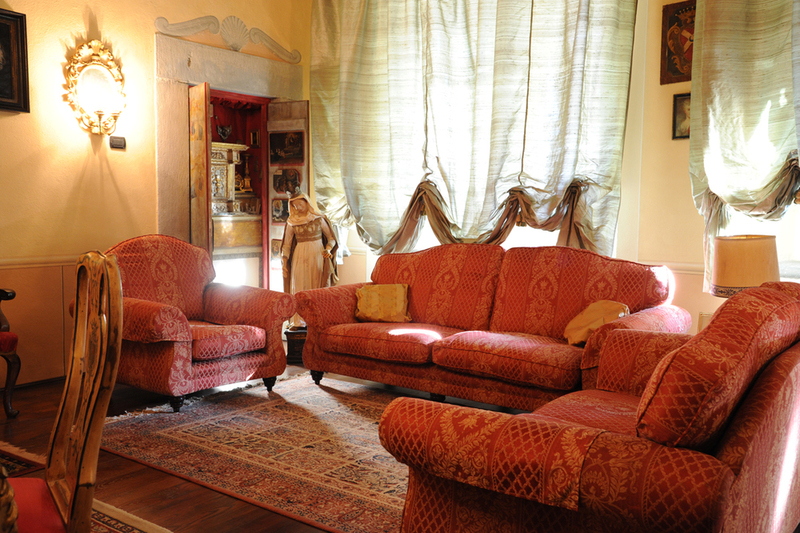 Spacious Living room (approx 65 sqm / 700 sqf) with original chestnut ceilings and floors. Window enclosure with two pairs of windows. Fireplace with family coat of arms. 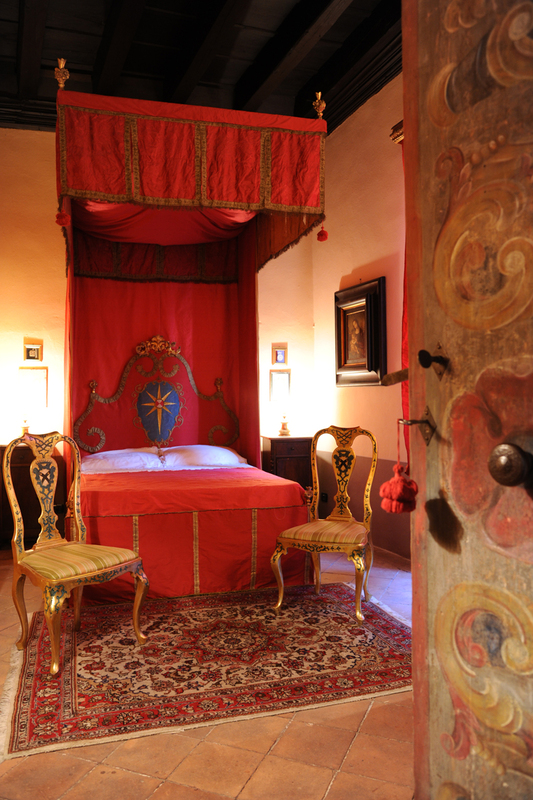 In this room there is also a small altar "hidden" behind the doors of a cupboard, typical of the buildings of the Aristocracy in Lucca in the 17th century. Double bedroom (yellow – of the Marquis) with fireplace and enclosed loggia area and an external balcony with wonderful views of the valley and surrounding mountains. En-suite bathroom with shower, antique copper basin, bidet and toilet. En-suite bathroom with corner shower, marble basin, bidet and toilet. Small sitting room with fireplace and paneled wood walls with gold leaf decoration. En-suite bathroom with shower, beautiful fluted marble basin, bidet and toilet. 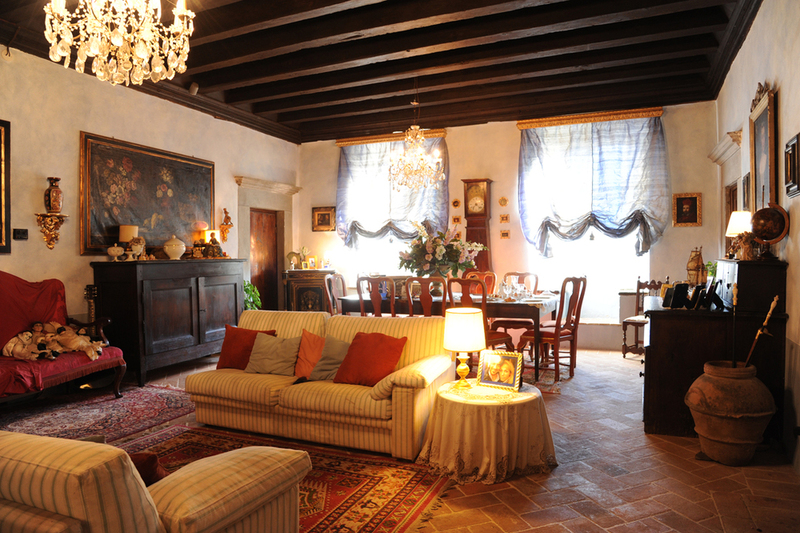 Two large rooms with original chestnut wood floors and two small windows in each room. These rooms offer the potential of further bedrooms with en-suite bathrooms. Cloakroom with basin and toilet. Outbuildings in the garden include a 'summer kitchen' with stone sink, gas hobs, electric oven, kitchen units and a pizza oven, as well as a bathroom with shower, basin and toilet. Top level with 'summer kitchen', bathroom and covered pergola area. Beautiful swimming pool of 45 sqm (9 x 5m) / 484 sqf (97 x 53.8 sqf), lined with 'pietra serena' stone and a decorative water spout. Large communal car park 30m / 98 ft away. For a printable presentation, please cklick here. The first historical information dates back to 1274, in a document belonging to the Castracani-Antelminelli family archive (which the distinguished Lord of Lucca, Castruccio belonged to). In this document appears a note regarding a small fortified palace situated at the only entrance gate to the village of Ghivizzano, where the palace is situated. 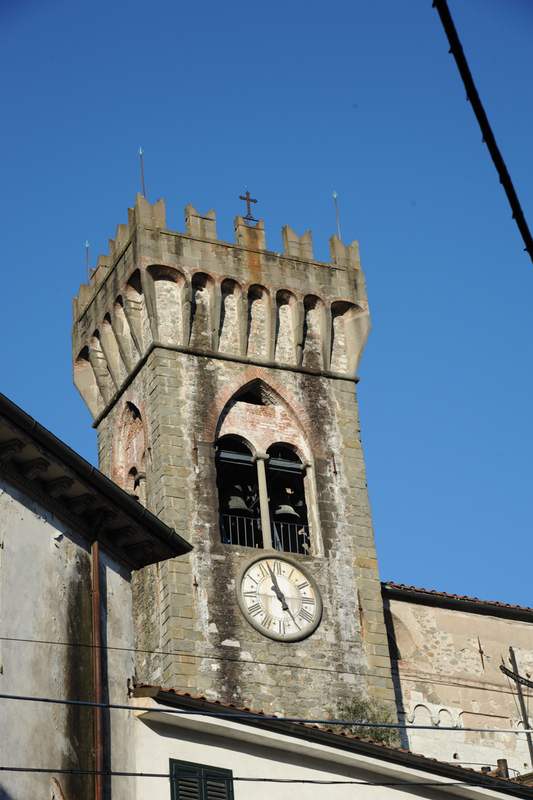 Later, in 1429, still in the archive sources of Lucca's noble families (namely the powerful Guinigi family), we find a “chronicles of the time”, according to which Paolo Guinigi, Lord of the city of Lucca (from 1400 to 1430), fled to the small palace in Ghivizzano (inherited from the first wife of Paolo Caterina degli Antelminelli) to escape from the first stirrings of riots against his Lordship. After the fall of the Guinigi Lordship, the palace passed for a brief time to Francesco Sforza who moved here from Milan for political reasons. After the Sforzas, the Palazzo passed on to the Nuti family – whose family name later was changed into Ghivizzani, thereby giving its current name to the small town. During the 16th century, the Palazzo completely changed its appearance from a fortified palace to a hunting lodge. Then, the old medieval walls of the small village where incorporated in what will become the south facade of the building creating a walking passage under the palace's halls which is now called via Sossala (via Sossala= under the halls). The single and the double mullion, became large windows framed with stone jambs and lintels, giving the structure a city palace appearance. In 1648, thanks to the wedding between the Nuti and the Marchesi Buonvisi families, the palace passed to the latter doubling it's surface. From this period onwards it will always be remembered as the “A Hundred Windows Palace”. 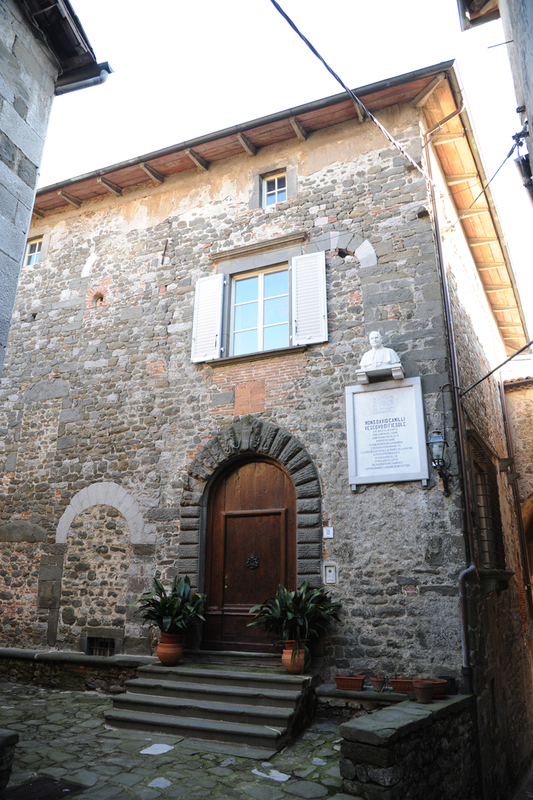 At the beginning of 1900 the Palazzo became a female convent boarding school by the will of Monsignor Camilli (born in this village) who later became the Bishop of Fiesole. 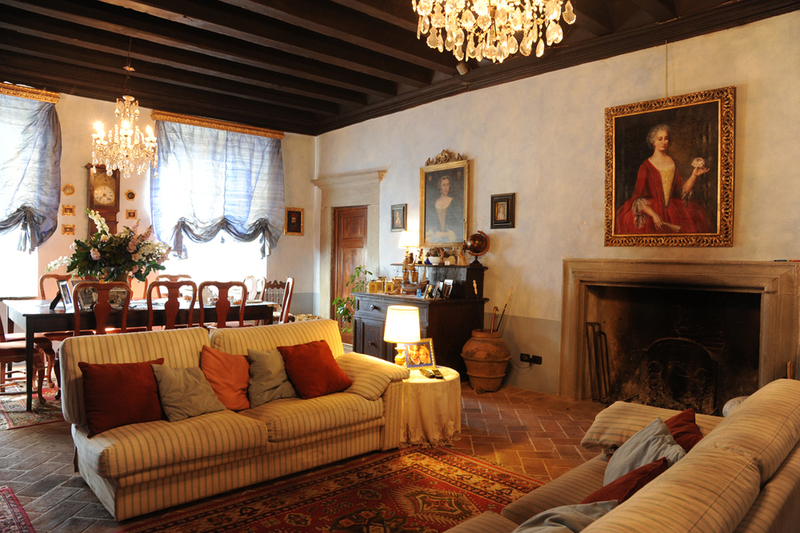 Recently the palace has returned to the last descendants of the Buonvisi family now Pisani Buonvisi, that have brought back the mansion to its ancient glory. Thanks to a meticulous restoration, tradition and modernity cohabit harmoniously: beautiful furniture combines with high quality comforts. The halls of this palace date back to the 13th century and guard a collection of ancient art - from paintings to beautiful furniture belonging to the family for centuries; from beautiful fireplaces remembrance of ancient hunting moments to coffered ceilings.